Have you ever gotten off a plane and realized you couldn’t hear well anymore? And no matter what you did, you couldn’t seem to pop your ears? Or have you ever had a cold that turned into an ear infection? One that prevented you from hearing, caused you pain, affected your balance? When your ears feel clogged, it’s hard to enjoy yourself. It’s hard to listen, speak, walk, sleep. And the longer ears remain untreated, the worse the symptoms can get. We’ve got 9 remedies for anyone tired of dealing with plugged ears. Here’s how to relieve your ear congestion and live a little! To have the best recovery, it helps to know the cause of your aching. Why are your ears bothering you? Is it from high altitudes or is it allergy season? Have you experienced any of these situations in recent times? You can probably pinpoint the cause of your discomfort when running through your routine. Now let’s cover some treatment options. Remember that some of these remedies are short-term solutions. If you are experiencing consistent pain or discomfort, we advise consulting with your physician. Some oils, such as tea tree, peppermint, or eucalyptus, can help relieve symptoms of an earache. That is because they have antibacterial and antiviral properties. Although this isn’t a thoroughly fleshed-out option, it is a great supplement to other care. When there is an excess of wax, it hardens in the ear. This causes a blockage which results in the feeling of clogged ears. One way of remedying this is to soften the wax. There are many over-the-counter and at-home drops which can help relieve this discomfort. Hydrogen peroxide, for example, helps the wax bubble up and then begin disintegrating. Lie on your side, insert drops until full, and let sit for 5 minutes. Debrox is a great OTC earwax remover. Like hydrogen peroxide, it helps soften and loosen a build-up of wax. The process is the same. If this is the extent of your problem, you’re in luck. The solutions for treating ear problems from high altitudes are simple and fast-acting. Try yawning, swallowing, and chewing. This will keep your eustachian tube open and doing its job: equalizing pressure. A stick of gum is perfect before your plane descends. If these methods don’t work, try holding your nostrils shut with your fingers. Gently blow your nose until you feel a pop. Over-the-counter drugs may be all you need to relieve your clogged ears. Decongestants work to end congestion in the sinuses. Antihistamines are great for those who suffer from allergies. Allergies tend to cause inflammation and nasal congestion. If you find that your hearing loss is permanent or more severe, you may be a candidate for hearing aids. Hearing aids amplify sounds, enhancing your hearing and listening experience. They enable you to follow conversations, listen to the TV, understand your environment. There are a variety of types, giving you options to make you the most comfortable. 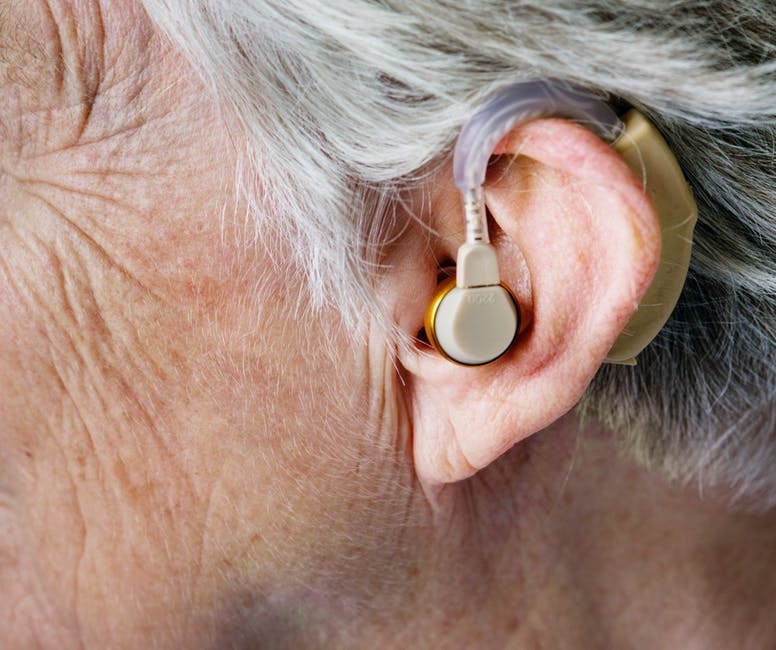 Here are 10 tips for those using hearing aids for the first time. If you spend a lot of time in the water or don’t dry your ears, you may have Swimmer’s ear. This is an infection that begins at the eardrum and goes to the outside of your head. Excess water in the ear aids in bacteria growth. The best way to avoid Swimmer’s ear is to keep your ears dry. Dry your outer ear gently after swimming or bathing. You may think that you need to use cotton swabs to keep your ears clean. But that’s actually not the case. Using cotton swabs (or other objects) to clean your ear can be dangerous. They’re not effective at removing earwax in the ear. In fact, doctors recommend “not putting anything larger than an elbow” in your ear! Cotton swabs can cut the ear canal, perforate eardrums, and even dislocate our hearing bones. Instead, doctors recommend letting nature do its job. A normal amount of earwax is necessary to prevent foreign objects from getting in. Our normal talking, eating, jaw-moving behavior should keep earwax from building up. Have you ever been sick with a cold or infection, and someone recommended taking a hot shower? Well—they were right. Steam and warm water help loosen up congestion in the body. As well as taking a hot shower or bath, you can make a warm compress, too. Place it over the ear canal (while warm, not hot) and let the steam get a chance to work its magic. And last but not least—if symptoms persist, or you find yourself in an unusual amount of pain, please visit your doctor. Many of these treatment options are for short-term relief. Your situation may call for a more severe form of treatment. It’s hard to live your normal life when your ears feel clogged. That’s why you deserve the relief we’ve discussed here. Are some of these at-home remedies enough for you? Or do you think you need to invest in hearing aids? We’re here to make the buying process easier for you! Here’s a quick (but informative) guide to saving money while shopping for hearing aids.